The release date of Kabaliis just around the corner and the craze for the Thalaiva-starrer has reached an all-time high in South India, especially in Kerala. 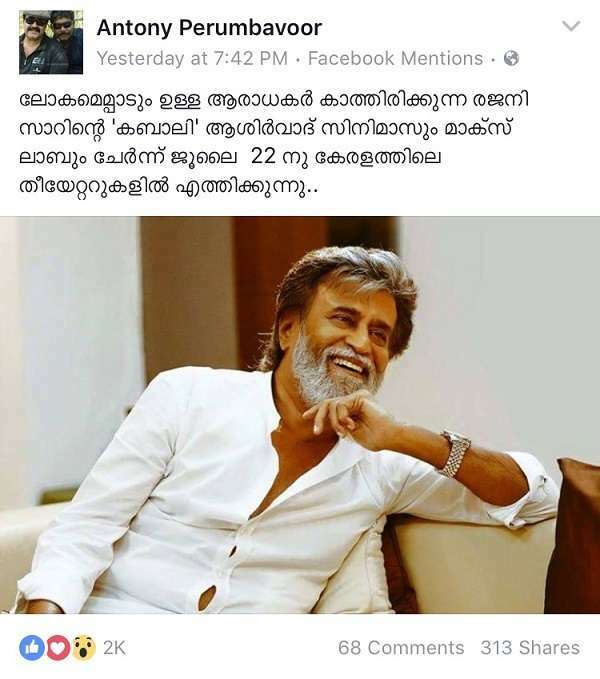 It is evident as the Kerala theatrical rights of Kabali have been sold for an unheard of price on Wednesday. Yes, the Kerala theatrical rights of the Rajinikanth-starrer have been sold for a new record sum of Rs 7.50 crore and the interesting part is that the rights were acquired by the home banner of Malayalam superstar Mohanlal's Max Lab Cinemas And Entertainments along with his producer-friend Antony Perumbavoor's Aashirvad Cinemas. With this deal, Kabali beats the recently-released Vijay blockbuster Theri, to become the top non-Malayalam film to do so. Theri was sold for Rs 5.60 crore to Vijay Babu's Friday Film House. 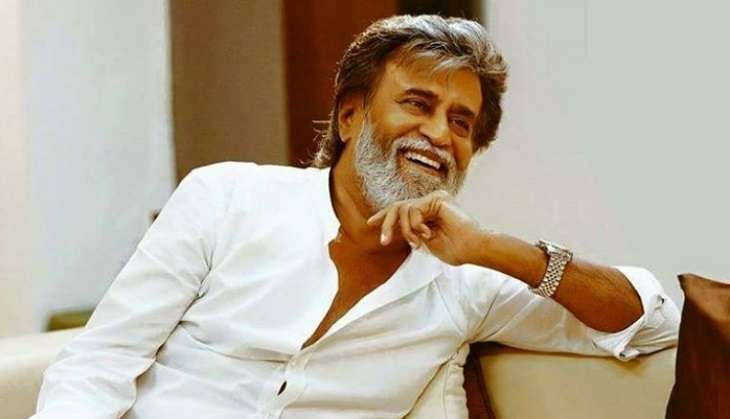 Meanwhile, Kalaipuli S Thanu, the producer of Kabali is expected to announce the release date of the Rajinikanth-starrer tomorrow in a press conference in Chennai.